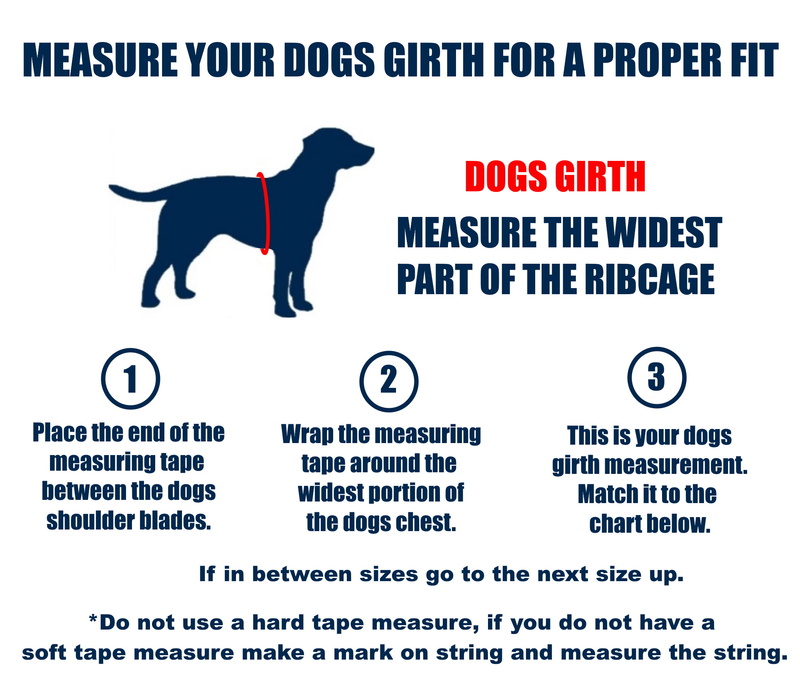 To measure for your dogs girth, wrap a flexible tape measure behind his front legs and around his body, going underneath the widest part of his rib cage. *If you do not have a flexible tape measure you can use a piece of string and a tape measure. Mark the measurement on the string and use the tape measure to measure it.